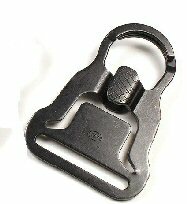 Our single point sling is made from 1 1/2 inch nylon webbing and a heavy duty elastic section. 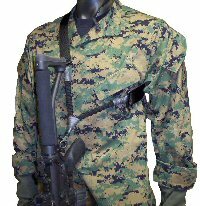 We use a slightly wider and softer webbing to help with distributing the weight of the weapon and to limit chafing. 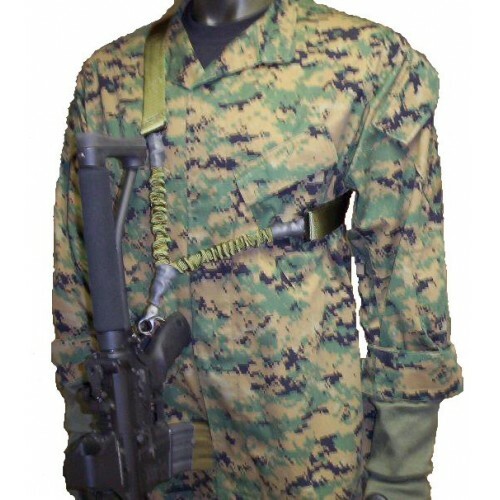 The sling adjusts to fit over varied clothing and equipment. 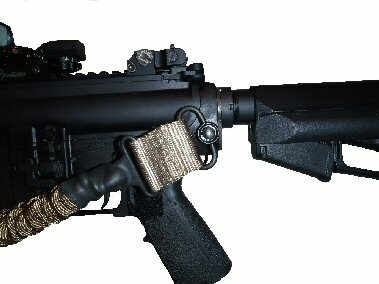 When attached and slung, the weapon hangs in front for easy control. 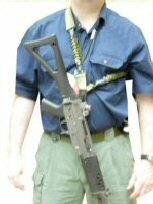 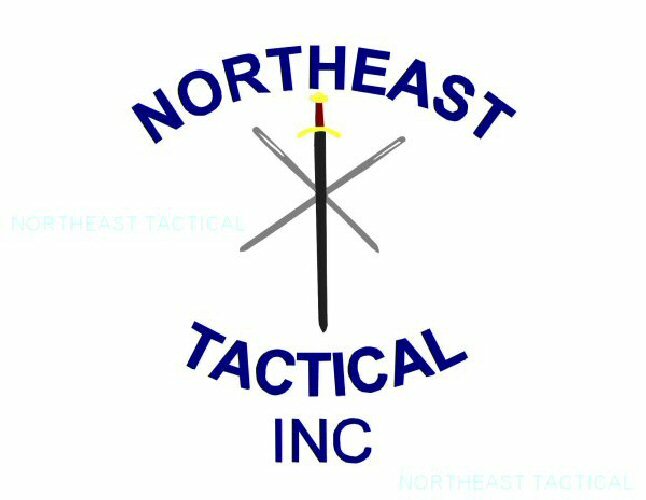 The weapon should be slung to easily shoulder to both sides, but not to long to interfere with normal movements.The weapon can quickly be shouldered with little to get in the way at critical moments. Also can be shouldered to support side with no interference from the sling.